In order to mark the 950th Anniversary of the Norman Conquest, this edition includes a reprint of an article ‘Guernsey and the Norman Conquest’ by Professor John Le Patourel, written in 1966 to mark the 900th anniversary. Stephen Foote explores the story of the 1948 Channel Islands Liberation postage stamp, and its role in reviving the post-war tourist industry. We also include the first in a series of WW1 correspondence from a Canadian Guernseyman, Reginald Ollivier, serving in the trenches in France, recently deposited in the Island Archives. This edition’s book reviews include John McCormack’s Channel Island Houses and Protest, Defiance and Resistance in the Channel Islands, German Occupation 1940-45 by Gilly Carr, Paul Saunders and Louise Wilmot. All in addition to the usual Island News and Membership News. 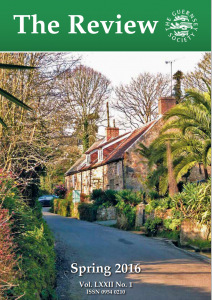 The Review is distributed free to members three times a year, and includes a range of articles on Guernsey’s past, present and future. For more details see The Review. A full index of articles since it began in 1945 can be found here - Index of Articles. We are delighted that Jonathan Le Tocq, formerly Guernsey’s Chief Minister, will be will be joining us for lunch on Saturday, October 8th, 2016 – where we shall also be celebrating the 950th Anniversary of the Norman Conquest. 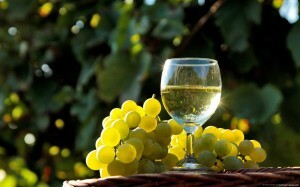 Cost: £35.00 per head (includes three-course meal and wine). If you would like to attend, please send cheque to Keith Le Page (see address in The Review), or through PayPal using the form below. 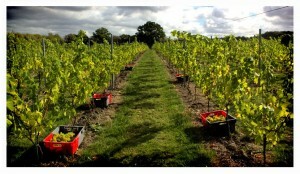 On Saturday, July 2nd, we have planned a social visit to the Hush Heath Estate & Winery near Staplehurst in Kent, where we will go on an organised tour with a tutored tasting of the estate’s delicious sparkling and still wines, and exciting range of ciders. The cost of the tour to Guernsey Society members is £10. If you would like to join us, please Contact Us so we can confirm numbers. For those coming by train, we will arrange a shuttle service to the winery from Marden station to meet the 12:15 train from London. Alternatively, meet at the Lord Raglan in Staplehurst for lunch. 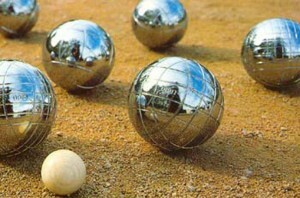 On Saturday 25 June 2016, we will be holding our sixth annual Boules Muratti against the Jersey Society. It is a fun event in a beautiful corner of London and all Channel Islanders are welcome. Meet for lunch from 12.00 at The Prince of Wales pub, in the corner of Cleaver Square, Kennington London, SE11 4EA. Nearest tube: Kennington. No advance notice necessary – just turn up! Our next London meeting will take place on Saturday 14th May. In addition to the Annual General Meeting, we will have our traditional Guernsey quiz, followed by a talk from Edward Chaney about Genius Friend, his new biography of G.B. 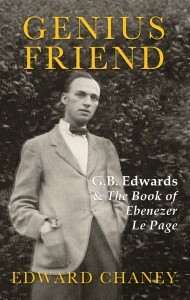 Edwards, author of The Book of Ebenezer Le Page. Location: The Union, 88-90 George Street, London (nearest tube Baker Street). No booking necessary. Non-members welcome.